BREAKING NEWS SPECIAL: Photos of Tiangong-1 hurtling towards Earth are terrifying: Should you worry? Photos of Tiangong-1 hurtling towards Earth are terrifying: Should you worry? Tiangong-1's re-entry into the Earth's atmosphere is being closely watched by the world, trying to track its crash location and the date. The European Space Agency (ESA) has estimated the re-entry timeline between March 30 and April 2, and expected to crash somewhere between 43-degrees north and 43-degrees south latitudes. Besides ESA and the US' Aerospace Corporation, the space observation radar TIRA (Tracking and Imaging Radar) of Fraunhofer Institute in Germany has also been observing the out-of-control Chinese space station's freefall towards Earth. Last week, scientists at the German Institute captured radar images of Tiangong-1 at an orbital height of approximately 270 km above the Earth's surface. Fraunhofer FHR's TIRA system is claimed to be one of the world's most powerful space observation radars in the world. Using that, the radar images of the Tiangong-1 showed the blazing space station heading towards the Earth. Jonathan McDowell, an astrophysicist from Harvard University, recorded the speed of Tiangong-1 at about 6km a week, faster than its recorded speed at 1.5km in October. The radar image of Tiangong-1 from different perspectives are terrifying. A flaming 8.5-tonne (more than 3,200 kilograms) space station the size of a school bus is hurtling towards Earth and there is every reason to be worried, but people shouldn't panic. At least that's what major space observatories around the world are suggesting. Firstly, most of the debris will be disbursed on hitting the Earth's atmosphere, but 30-40 percent of it will likely survive. Even so, the probability of you getting hit by the space station debris is one in a million. In the past, there have been several crash landings of space stations, including NASA's 77-tonne Skylab in 1979 and the Soviet Union's 20-tonne Salyut 7 space station in 1991, but there haven't been any casualties. However, the risks are not completely out of the way. The space station is carrying highly toxic and corrosive fuel called Hydrazine. Even short exposure to the highly toxic material can result in irritation of the eyes, nose, and throat as well as dizziness, headache, nausea, pulmonary edema, seizures and even coma, the United States Environmental Protection Agency has warned. 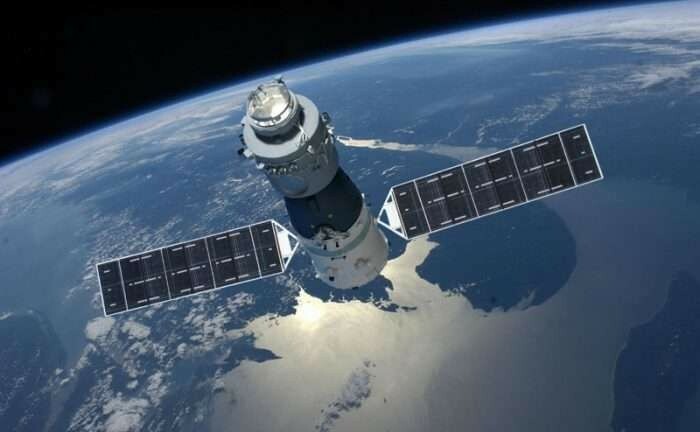 China's space agency launched Tiangong-1 in 2011 and it was referred to as the "Heavenly Palace," which was used for both manned and unmanned missions, and it was described as a "potent political symbol" of China. The space lab was expected to end its operation in 2013, but the Chinese space agency decided to extend its lifespan for a few more years. But China lost control of the space station during this period, which resulted in the uncontrolled freefall of the module.